Kerry McCuaig is co-author of Early Years Study 3, Making Decisions, Taking Action with Margaret McCain and the late Fraser Mustard. She is a co-developer of the Early Childhood Education Report, which tracks provincial/territorial progress in early years program development. Kerry has had a long involvement in early childhood policy including as a founder of Toronto First Duty, a pioneer in the integrated delivery of early childhood programming. She supports similar integrated ECE service models in Atlantic Canada. Kerry works with the teams that developed the unique early learning models in Ontario and New Brunswick. She has authored several publications, including those commissioned by the Senate of Canada, the Toronto Board of Trade, and the governments of Manitoba, New Brunswick, the Northwest Territories, British Columbia and the City of Toronto as well as reports for labour, women’s and community organizations. 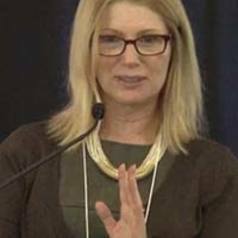 Kerry is a frequent speaker at national and international conferences; is a sessional teacher in the ECE degree program at George Brown College and is an advisor to the Early Childhood Development-Funders Working Group.